I am unable to install Parallels Tools automatically through the virtual machine Mac menu: Actions (Virtual Machine in older versions) > Install Parallels Tools. Parallels Tools installation and /or updating is always required when you create a new virtual machine or upgrade Parallels Desktop to a newer build or version. We also recommend reinstalling Parallels Tools when you are troubleshooting host-guest integration issues, such as Coherence, shared applications, shared folders, copy-and-pasting between your Mac and your virtual machine and mouse and keyboard issues. If automatic installation does not start when expected (e.g., during an update to the Parallels Desktop build), or if you want to install Parallels Tools manually, follow the steps below. Note: All examples pertain to Windows virtual machines. 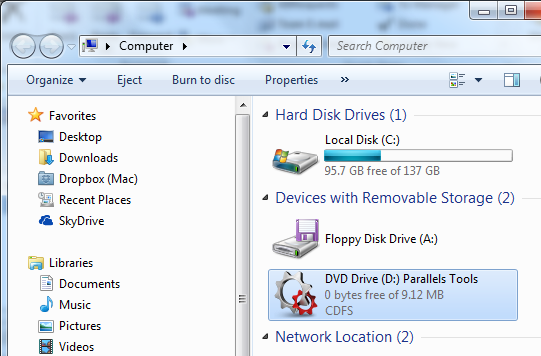 If the installation does not start, open the Start menu in Windows > Computer > Locate Parallels Tools CD drive. Then double-click on it to launch Parallels Tools installation. If the Parallels Tools installation has not started, right-click on Parallels Tools CD. Then choose Open, locate PTAgent.exe file and double-click on it to launch installation. Make sure your virtual machine is running in Window mode. If it is running in Coherence mode, exit Coherence. Proceed with a manual Parallels Tools installation starting from Step 3 in Scenario 1, above. 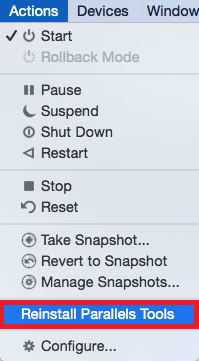 Shut down your virtual machine. Locate your virtual machine in Finder see KB 117333. Right-click on your virtual machineâs .pvm file, then select Open with > Parallels Mounter. 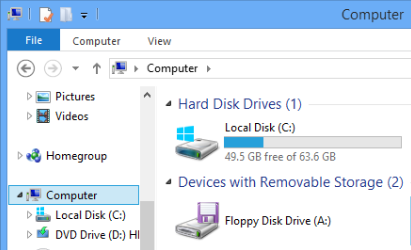 Locate the Windows hard disk containing the Windows installation â it will contain the Windows folder. Go to Contents > Resources > Tools. Locate the prl-tools-win.tar.gz file and unarchive it. 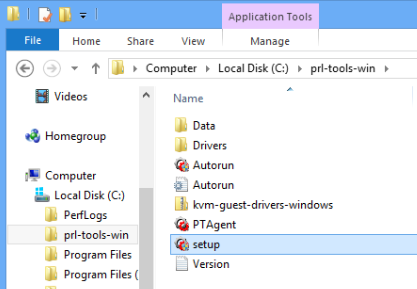 The resulting prl-tools-win folder will be extracted either to the same Tools folder or to the Downloads folder. 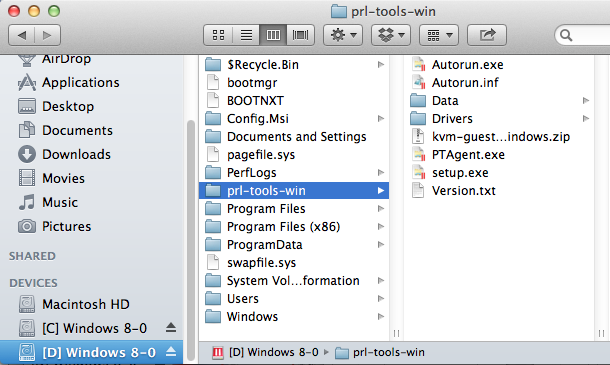 You can also use Spotlight to locate the prl-tools-win folder. 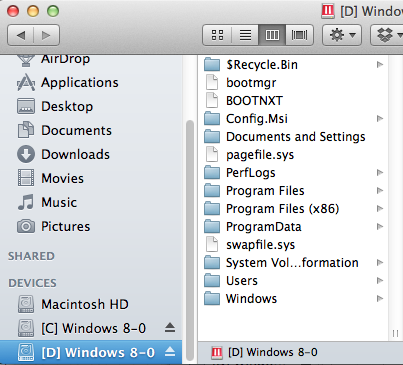 Open the prl-tools-win folder and double-click on the setup.exe to start the Parallels Tools installation. Optionally you can go to the Data folder, open amd64 or i386 sub-folder according to your Windows architecture (64-bit or 32-bit); and run paralels-tools-amd64.exe or parallels-tools-i386.exe.